Roland W. Scholz has been Chair of “Environmental Sciences: Natural and Social Science Interface” (NSSI). He is still adjunct professor of psychology at the University of Zurich (Privatdozent), and Extraordinary Professor of Management and Planning at Stellenbosch University, South Africa. He was elected as the 5th holder of the King Carl XVI Gustaf‘s Professorship 2001/2002 hosted at the Centre of Environment and Sustainability at Chalmers University of Technology and Gothenburg University (Sweden). Born in April 1950, Roland W. Scholz graduated in mathematics, psychology and educational sciences (Dipl.-Math., University of Marburg, Germany, 1976), social psychology (Dr. phil., University of Mannheim, Germany, 1979), and cognitive psychology (Dr. phil. habil., University of Mannheim, Germany, 1987). He specialized in decision sciences and systems analysis, cognitive and organizational psychology, and environmental modeling, evaluation and risk assessment. His current research field is the theory of human-environment systems, environmental literacy and environmental decision-making. Specifically, he works with the theory, methodology and practice of transdisciplinary sustainable transition processes. 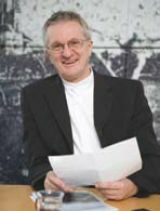 Since 1993 he has conducted annual transdisciplinary case studies on sustainable urban, regional and organizational transitions. Amit H. Roy has been the President and Chief Executive Officer of IFDC since 1992. Under his leadership, IFDC’s programs have broadened to help create sustainable agricultural productivity around the world, alleviating hunger and poverty and ensuring global food security, environmental protection and economic growth. Roy’s work has taken him to more than 100 countries. He is now leading IFDC in the development of the next generation of fertilizers, which will more effectively release nutrients when crops need them. Roy is also working to expand IFDC’s successful fertilizer deep placement (FDP) technology from Bangladesh to Sub-Saharan Africa. Before coming to IFDC, Roy was a process engineer at the Georgia Institute of Technology in Atlanta. While at Georgia Tech, he developed an innovative thermal storage system for a solar energy power plant and researched basic premises for converting water and carbon dioxide into useful fuels using high temperature solar energy. He also developed an innovative heat shield that was used by NASA in the U.S. Space Shuttle program to protect critical optical and electronic components of the shuttle. Roy earned a doctorate and a master’s degree in chemical engineering from Georgia Tech. There, he served as a charter member of the Lions Club and was elected to the Graduate Student Senate. He received a bachelor’s degree with honors in chemical engineering from the Indian Institute of Technology in Kharagpur, India. Ngoc Anh Pham joined the Global TraPs project as science manager (part-time) on January 1, 2013. Her initial activities will focus on preparations for the MLS and DS to be conducted at the Global TraPs World Conference. In addition, she is actively involved in a case study on the overuse and underuse of phosphorus by Vietnamese smallholder farmers. Pham earned a Bachelor’s degree in Chemical Technology from Hanoi University of Science, Vietnam National University, in 2001 and a Master’s degree in Environmental Science from the Swiss Federal Institute of Technology Lausanne (EPFL) in 2003. Prior to pursuing her Master’s degree, Pham worked as a researcher at the Center of Environmental Technology and Sustainable Development (Hanoi) and at EAWAG (Swiss Federal Institute of Aquatic Science and Technology). Her primary research area was the analysis of endocrine disrupting chemicals and antibiotics residues in various types of aquatic samples. Since 2004 she has worked as a consultant for different Swiss companies in developing ISO 9001 and 14001 management systems.